This is our fearless leader Shelby! As BYTEâ€™s Executive Director, Shelby is constantly striving to elevate the quality and further the reach of BYTEâ€™s mission to empower youth. She brings extensive experience from her prior roles with Big Brothers & Big Sisters and the Boys & Girls Club of Yukon, as well as other youth-focused organizations across Canada. Before moving up north, Shelby studied International Studies and Modern Languages at the University of Ottawa, and later received her certificate in International Development from Torontoâ€™s Humber College. When sheâ€™s not keeping BYTE afloat or organizing themed open-mics in town, Shelby loves to hike, bike, and cuddle with her dog, Piti! Get in touch with Shelby at ed@nullyukonyouth.com. Meet Alyssa! Alyssa joined us last winter, as our Leaders in Training Conference Coordinator and is now staying on as our Community Outreach Manager.Â Hailing from Northwest Territories, Alyssa has been in Yukon since the spring of 2016 completing the Social Work Program at Yukon College. 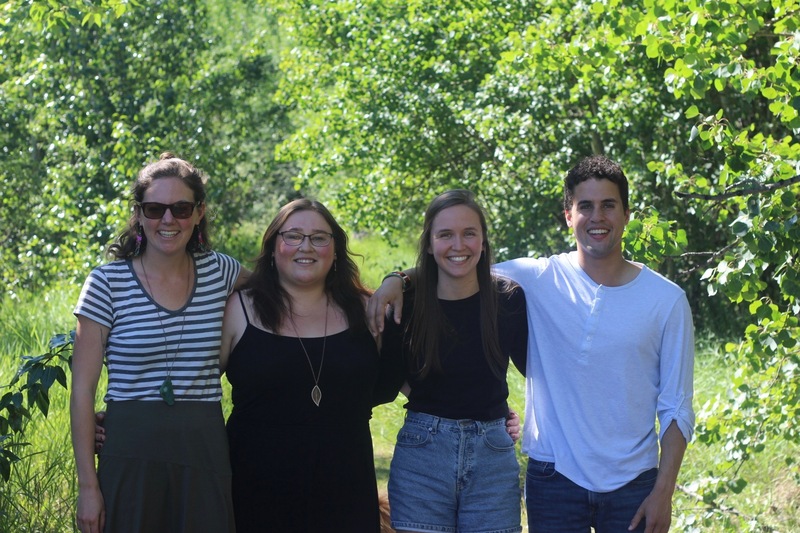 Alyssa brings her passion for youth and for fostering strong connections in Northern communities to our team! When she’s not bringing her knowledge and excitement to our team, Alyssa likes to spend her time at home with loved ones or in solitude, reading all the social justice books she can get her hands on and heading out in to nature to recharge. Touch base with Alyssa at alyssa@nullyukonyouth.com. Say howdy to Hana! BYTEâ€™s newest Community Outreach Coordinator, Hana spends her days helping to create BYTE programming and facilitating community workshops. Born in Prince Rupert, Hana was adopted and lived in the Northwest Territories for 6 years before moving to Whitehorse in 2000. She most recently comes to us from Peterborough, Ontario where she took International Development and Indigenous Studies at Trent University. When sheâ€™s not spending time on Haida Gwaii or absolutely smashing her New Yearâ€™s resolutions, sheâ€™s belting Adele in her car and planning her next travel adventure. Get in touch with Hana at hana@nullyukonyouth.com. Here is Tayo! As a Community Outreach Coordinator, Tayo liaises with communities around the Yukon to ensure BYTE programming reaches youth all over the territory, and will often be on the frontlines himself facilitating workshops. Though he was born in Ontario, Tayo has lived in the Yukon since he was seven and considers the NorthÂ home! He received his Bachelor’s of Sociology from the University of Victoria and most recently worked as a program facilitator at Second Opinion Society, a mental health advocacy group. When he’s not reading dystopian fiction or working towards his Master’s of Counselling Psychology, Tayo enjoys chatting politics, playing soccer, and beating Halo 3 in one day. Get in touch with about our Leaders in Training Conference at lit@nullyukonyouth.com. If you have questions regarding community events, multimedia, resources, or just general information, feel free to give us a shout at communications@nullyukonyouth.com. BYTE is privileged to have a diverse and experienced Board of Directors, whoÂ provide valuable guidance to the organization. It includes experienced youth-workers, professionals and young people from the Whitehorse community.